On the new program, Carnival Glory will sail from the recently refurbished Black Falcon Cruise Terminal on four-day “long weekend” cruises departing Thursdays to Saint John, New Brunswick, and five-day voyages departing Mondays and Saturdays to Halifax, Nova Scotia; and Saint John. The program will operate June 10 to July 26, 2012. A special seven-day cruise will be offered June 3-10, 2012, with visits to Portland, Maine; and Saint John, Halifax and Sydney, Nova Scotia. Saint John is a nature lover’s paradise, highlighted by such landmarks as Reversing Falls, where the highest tides in the world intersect with the St. John River and force it to flow backwards twice daily, and the Bay of Fundy, with its gorgeous backdrop of rugged rock formations. Also popular is Saint John’s Historic District, lined with stately Victorian homes, elegant churches and quaint boutiques and eateries. Founded in 1749 and known as the “Gateway to the Canadian Atlantic,” Halifax is a charming yet cosmopolitan city with outstanding restaurants, shops, and museums and unique cultural experiences. Here, guests can visit Peggy’s Cove, a fishing village famous for its granite coastline, tour the city’s many lighthouses, or observe the changing of the guard at The Citadel, a centuries-old fortress. Other on-shore activities such as kayaking and hiking are also available. Guests can also experience the many on-board facilities and features of the Carnival Glory – a 270-square-foot Seaside Theatre poolside LED screen displaying movies, concerts and other programming, a 13,300-square foot spa, four swimming pools – one with the line’s signature Twister Waterslide – along with spacious and modern play areas for children, ’tweens and teens, and Serenity, an exclusive adults-only retreat. A wide range of dining venues – from twin full-service dining rooms and a two-level casual poolside eatery featuring a 24-hour pizzeria to a sushi bar and a classic American steakhouse – are available, as well. 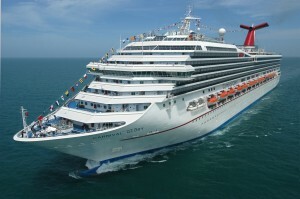 Following its cruises from Boston, Carnival Glory will reposition to New York for a series of four-day voyages to Saint John and five-day voyages to Saint John and Halifax from August 1 through September 3, 2012. Carnival Glory will also offer five week-long fall foliage cruises round-trip from New York to Halifax, Saint John, Boston and Portland, Maine. Departure dates include September 8, 15, 22, and 29 and October 6, 2012. The ship will also operate a series of cruises round-trip from Norfolk, Va., in the spring and fall. Spring six-day Bahamas departures will be available on May 15, 21 and 27. In the fall, there will be a six-day Bahamas cruise on October 14 and 22; a five-day Bahamas cruise on October 28, and a special two-day cruise on October 20, 2012. 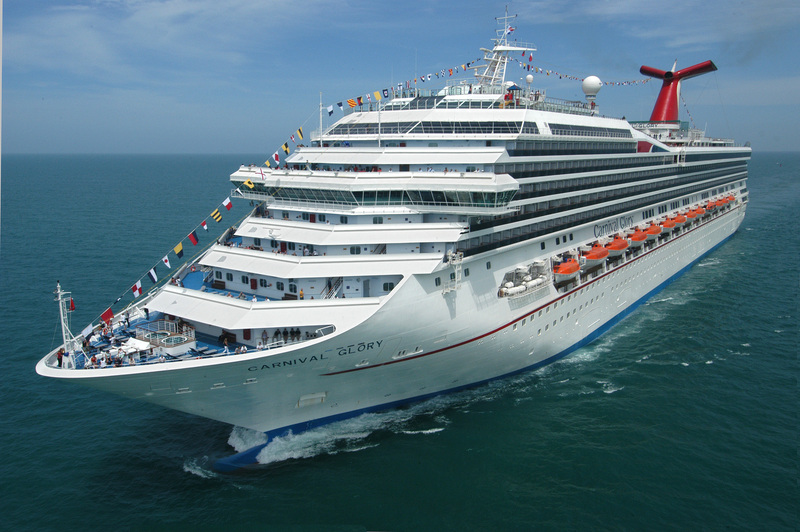 Reservations are currently being accepted for the Carnival Glory’s voyages from Boston, New York and Norfolk.